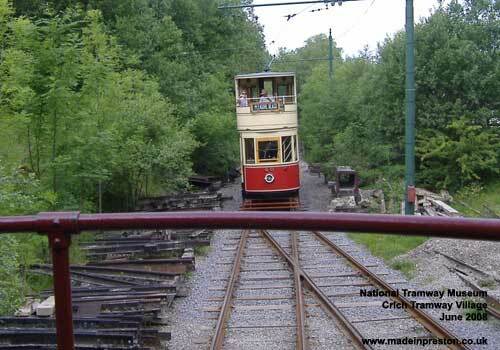 The museum is a collection of old mill type buildings in a hilly area of Derbyshire south of Matlock. 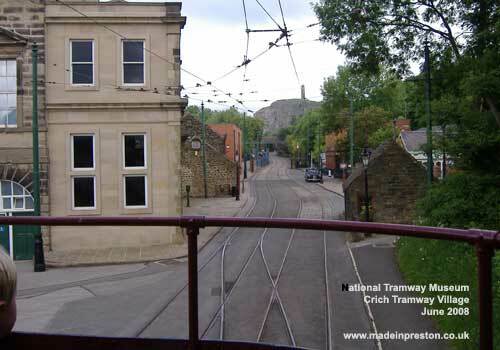 Interesting that the tram ride takes up a climb that is impressive for a tram. 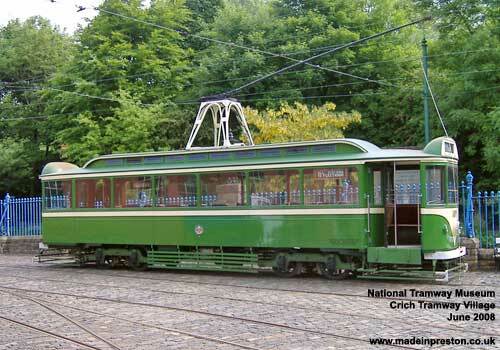 There is a wide selection of trams, quite a few from overseas. 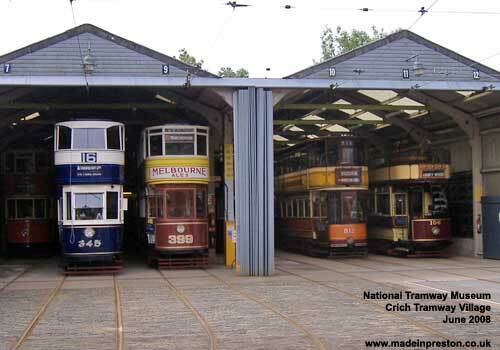 How many from Preston's huge English Electric tram factory. As our visit was in 2008 it might have changed, need to revisit. 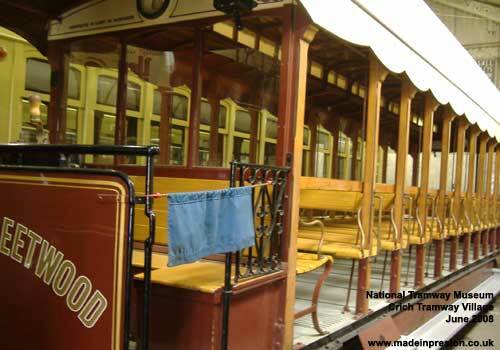 Blackpool Tram. Made in Preston by English Electric 1928. 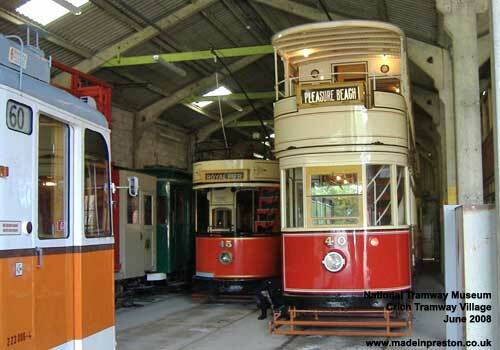 Another Blackpool Tram in red and cream. 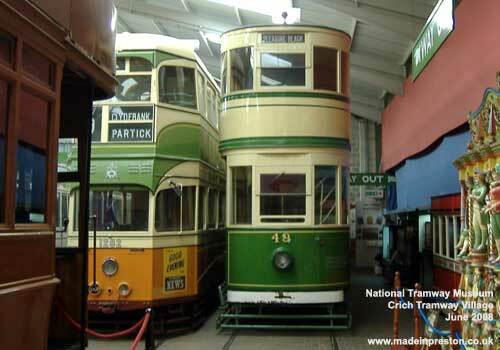 Another Blackpool tram, with a Glasgow tram. 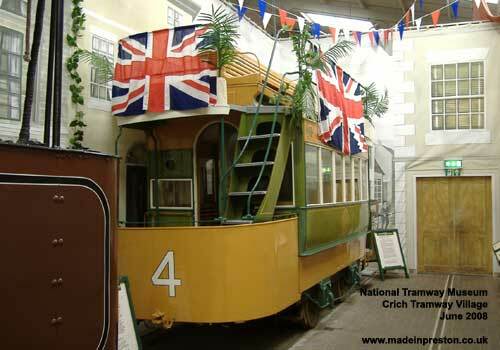 Another Blackpool tram. Blackpool and Fleetwood. 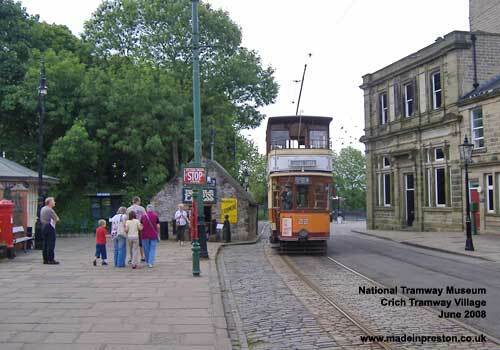 Tram arriving for the ride.